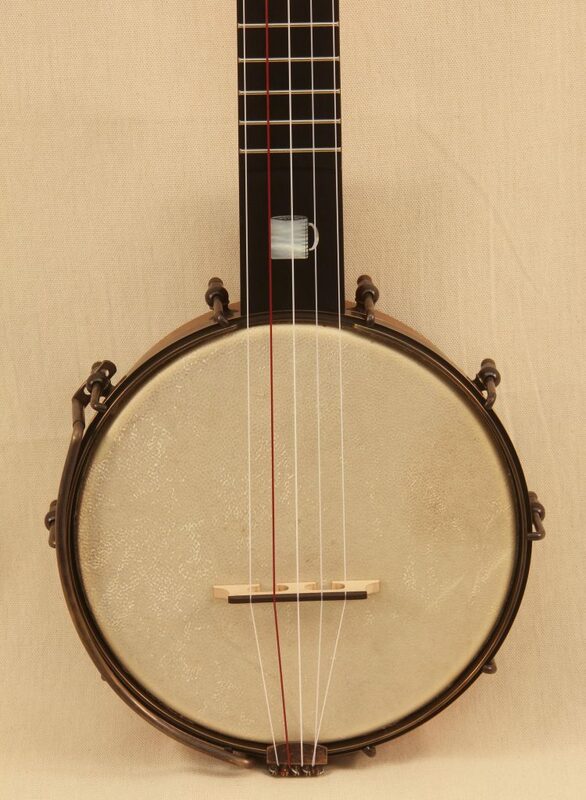 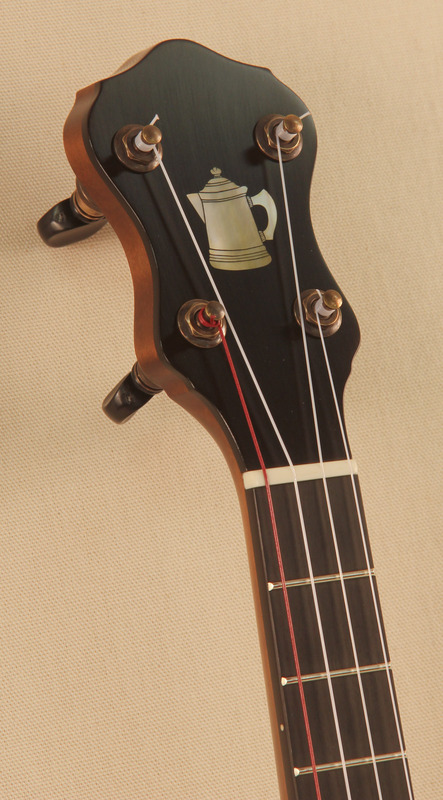 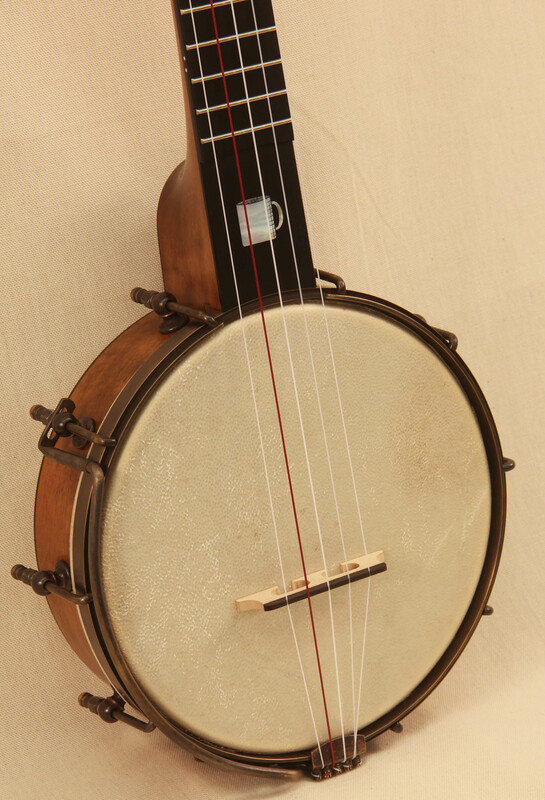 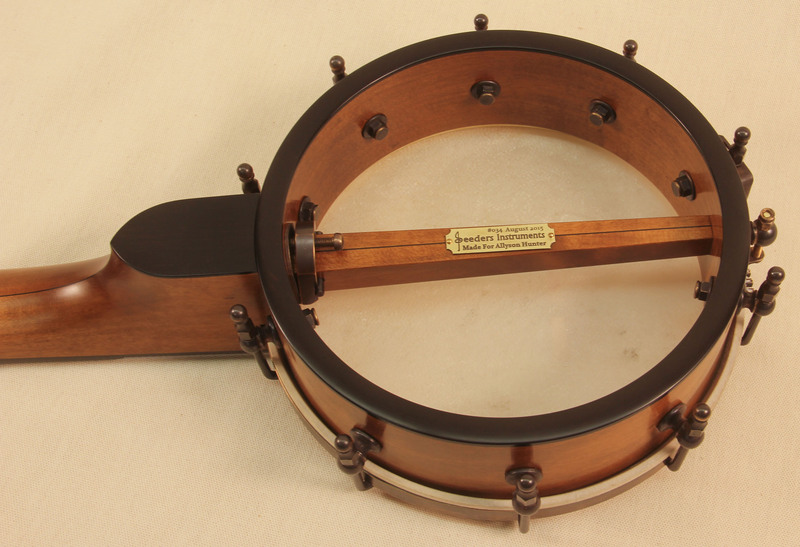 This piccolo/pony banjo features coffee themed inlays and a coffee color stain. 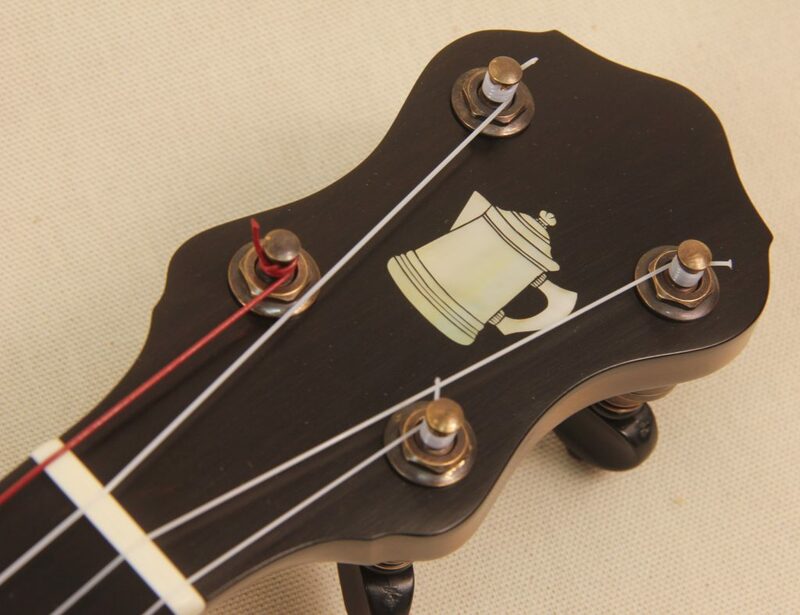 There’s a coffee pot on the peghead, a coffee bean on the fifth fret and a coffee cup on the scoop. 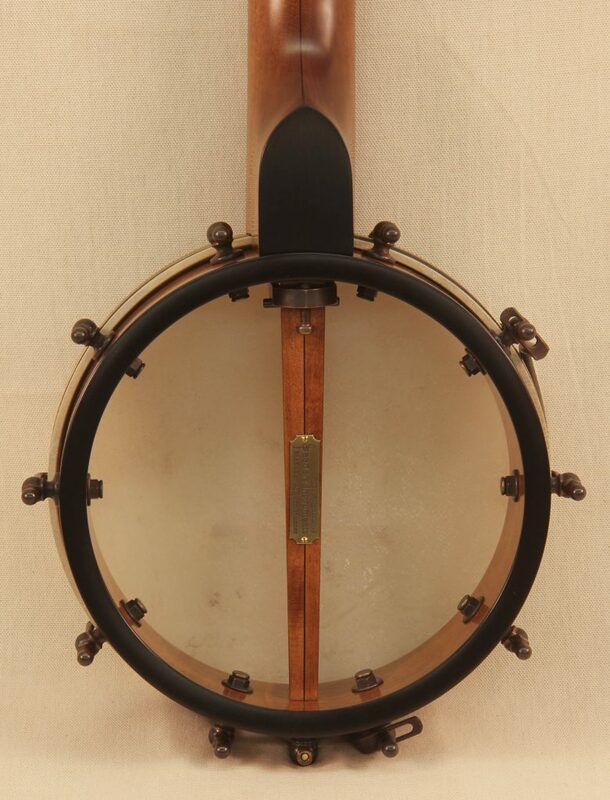 Made for a graphic designer that no doubt enjoys her coffee. 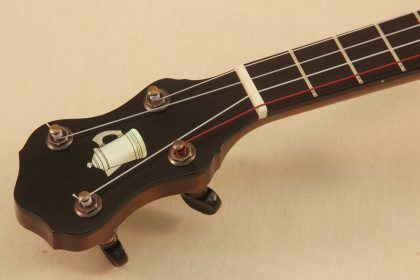 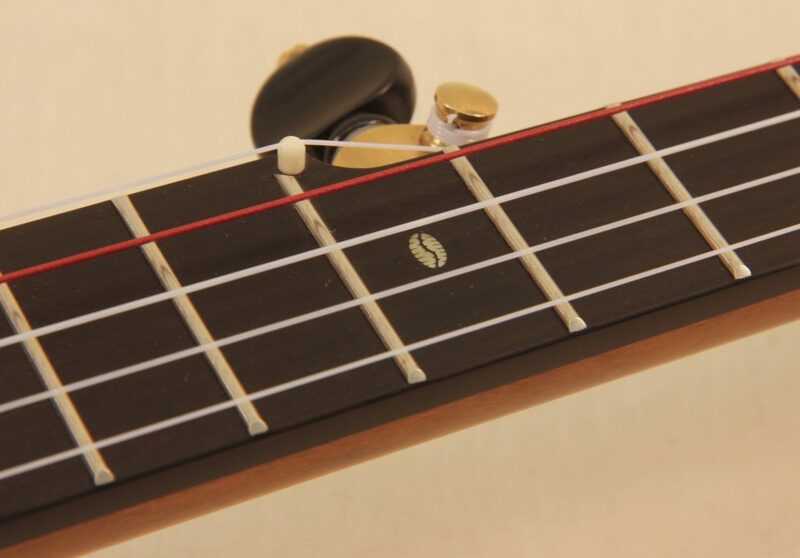 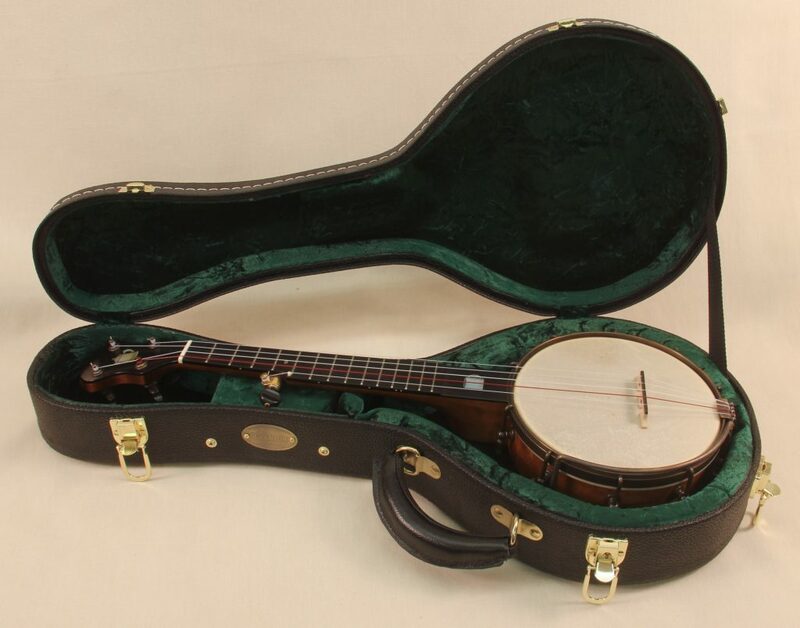 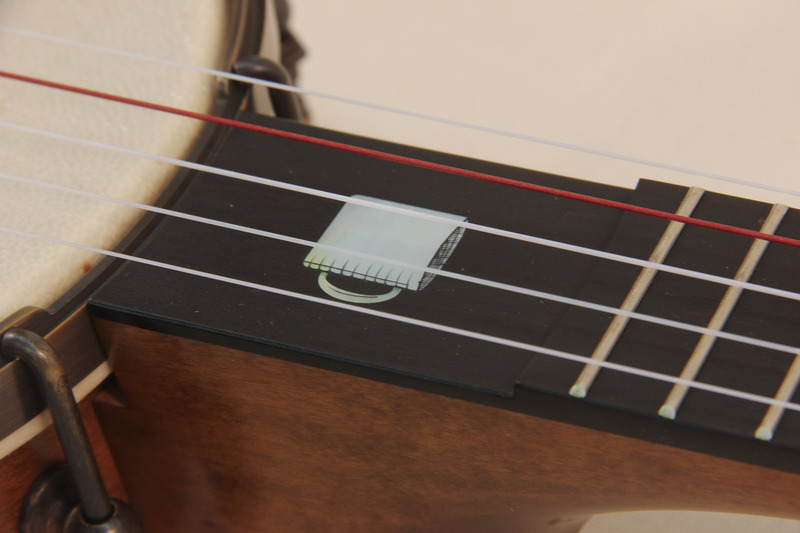 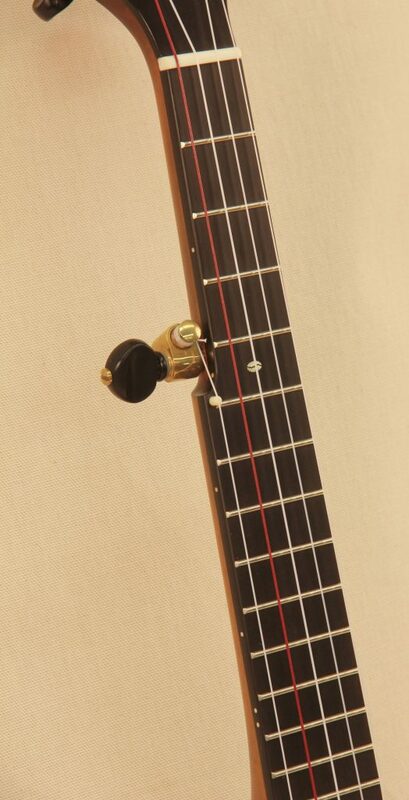 Even being small these piccolo/pony banjos offer a great palette for creative inlays and designs.